Over the years, there has been many athletes that have been tipped to be the next big star, but fail to reach their full potential. One example is Freddy Adu, who in 2004, at the age of just 14, became the youngest athlete in America to sign a professional contract playing football for D.C United in the Major League Soccer (MLS). He was the youngest player to appear and score in the MLS and was referred to ‘as the next Pele’. Many people believed he was going to become one of football’s top players. Fast forward 13 years. Did Freddy Adu become one of football’s top players? Sadly not. Since his big money move to Benfica in 2007, Adu has played for 10 different professional clubs in 10 years and now at the age of just 28, he is currently a ‘free agent’ and doesn’t play for any club. So why didn’t Freddy Adu reach the levels everybody thought he would and why do so many other athletes suffer the same fate? One answer maybe some athletes don’t have the right mindset required to fulfil their potential and succeed at the elite level. If that is the case, what type of mindset does an athlete need to be successful? According to psychologist Carol Dweck, there are two types of mindsets people possess; fixed and growth mindset. Everyone will hold both mindsets, but will often tend to favour one mindset more than the other. Individuals with a fixed mindset have the belief that traits such as intelligence, ability and athleticism are fixed, and no matter what you do or try, these traits cannot be changed (Dweck, 2006, 2009). As a result, these individuals tend not to value effort and are more focused upon looking the best. Often, people with a fixed mindset won’t fulfil their full potential due to not investing the required levels of effort to succeed. Research has repeatedly identified that a fixed mindset commonly leads the tendency to give up easily when faced with setbacks, due to the fear of failure and looking stupid (Dweck, 2006, 2009). In their eyes, if you can’t succeed at something, there is no point in persisting because you simply don’t have the intelligence to be successful. Often this is reason many young athletes who are described as having lots of potential, fail to transition to the top level. People who favour a growth mindset will perceive that success and achievement is a long journey that involves hard-work, dedication and persistence. Their belief is that traits such as talent and intelligence can be developed and improved over time and if they work hard enough they will achieve their full potential. Research has shown that developing a growth mindset can lead to positive results such as developing higher levels of resilience in the face of difficulties (Yeager & Dweck, 2012; Hinton & Hendrick, 2015), persisting for longer periods (Mueller & Dweck, 1998) and achieving higher results (Dweck, 2008). When analysing the processes of the two mindset types, it is clear to see how a fixed mindset could have been attributed to Freddy Adu’s career failure to reach the heights people expected him to. His early career success was regularly linked to his natural ability and the similarities to the football icon Pele. However, growth mindset behaviours such as hard-work, commitment and persistence were rarely mentioned. Potentially, the constant praise on his ability could have led Freddy Adu to develop a fixed mindset and believe his success was predominately down to his natural ability. This follows previous research carried out by Mueller and Dweck (1998), who identified that when students were praised on their intelligence/ability rather than their hard-work, their motivation and performance were diminished. With research demonstrating a growth-mindset approach to be a predictor of long-term success. The key question is, how can athletes effectively learn to develop the processes of a growth mindset and increase their chance of reaching their full potential? The first step is to be aware that the journey to long-term success won’t result from only talent and ability. If you asked any elite athlete, was becoming successful easy? They would say no and state behaviours such as high levels of effort, persistence and always striving to learn, are the vital ingredients to achieving success. The quotes below from Michael Phelps (Most decorated Olympian) and Cristiano Ronaldo (4x world footballer of the year) encapsulate the importance of always aspiring to learn and to develop. Michael Phelps: ‘There will be obstacles, there will be doubters, there will be mistakes. But with hard work, there are no limits’. Cristiano Ronaldo: ‘I feel an endless need to learn, to improve, to evolve, not only to please the coach and the fans, but also feel satisfied with myself’. The second step to is to set no limits. Setting limits on what you can achieve, will limit what you can achieve. Always consider there is something new to learn and every experience you encounter, you will be able to use to help you develop. A key ingredient to developing a growth mindset is the ability to embrace setbacks/failure and learn from those experiences, what you need to do to improve. Most importantly, use that failure to fuel your motivation to succeed and fulfil your full potential. The top athletes in the world can successfully perform in all environments; both normal and challenging because they learnt from their past mistakes and failure. Finally, identify your sources of inspiration that pushes you to develop and succeed. Your source of inspiration could be the ambition to participate an international competition, become a professional athlete in your chosen sport, be inspired by the success of another athlete or simply have the desire to improve because you enjoy performing. Embracing a growth mindset, could be the answer to you reaching your full potential. 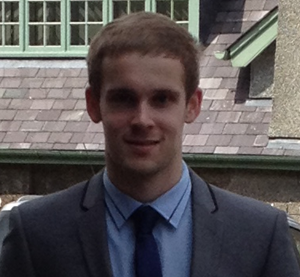 Bangor University graduate and currently a sport and exercise scientist (Psychology) for England Handball and Well-being-facilitator for the NHS (Diabetes Prevention). I have worked across several different sports providing psychological support. These sports range from rugby, football, kayaking and handball. My specialist area focuses on the influence of the sub-conscious mind on health and behaviour.